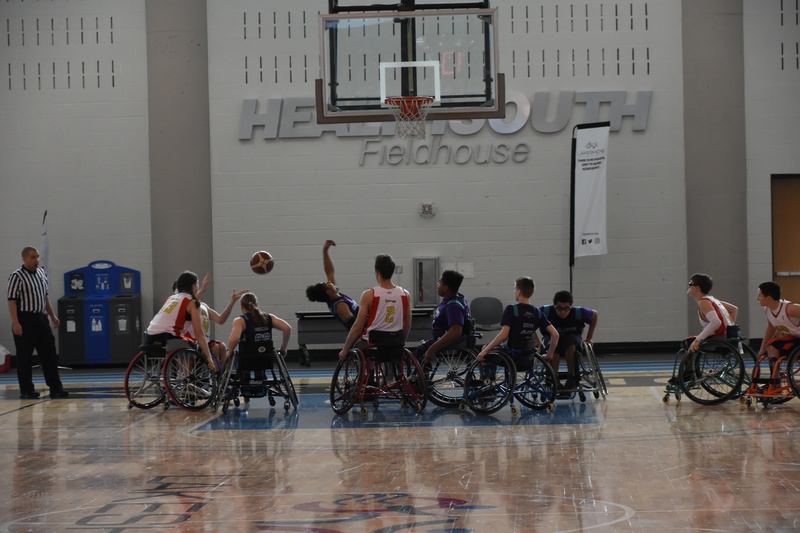 I currently coach varsity junior players in the National Wheelchair Basketball Association, all of whom are high school students ranging from freshman to seniors. 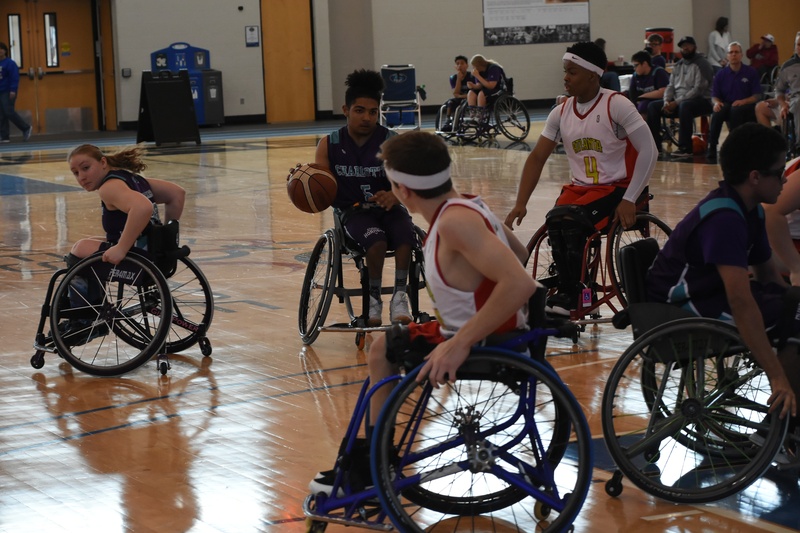 A few weekends ago, we played a conference tournament in Birmingham, at Lakeshore Rehab's Paralympic and Olympic Training Center. We pulled out a 2-point win over the 7th ranked home team while we came in ranked 11th. It’s not all about winning, though I’d be lying if I said winning doesn’t help. I’ve been driving over 1 hour to practice one way with at least two players who need rides week to week over the season and over many years. Of course it’s all worth it when all comes together. My Junior ‘Rollin Hornets’ Team has come to a place where they are really fun to watch and coach. With one National Championship under our belt nearly 10 years we have endured years of hard knocks and to a certain extent limited talent. 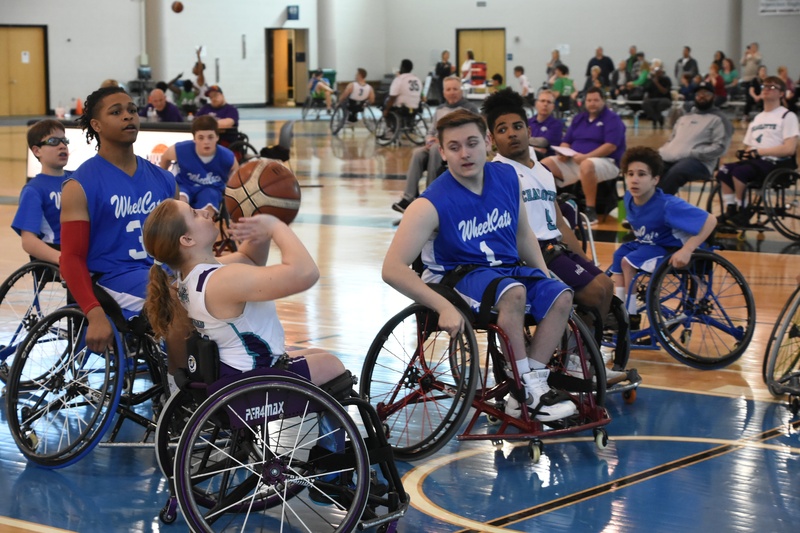 That makes this time we are in special : As the Abilities Unlimited (AUt host organization) is being stretched to handle tremendous growth in the prep and varsity division with three teams, their future is so bright from a human spirit and competitive level. Both Prep and Varsity are significant as the National Tournament looms in April and our hopes is these top 10 ranked programs vie for improvement at the highest level. 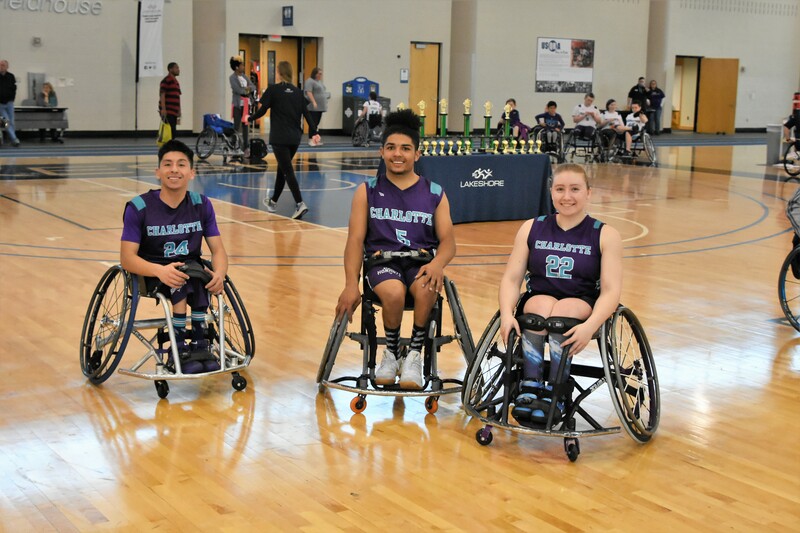 Beyond winning and losing we have 3 High School seniors that are shinning examples of athleticism and academics: Lizzy Becker is currently being recruited by every major college with a women's wheelchair basketball program in the U.S.. Right now, she's traveling in Thailand on a goodwill trip to share wheelchair sports with the Thai disabled population. A young Christian with a student work ethic that attracts every college coach, Lizzy is seeing opportunity at every corner of her life. Miles Hill, another senior is a difference maker on the court. 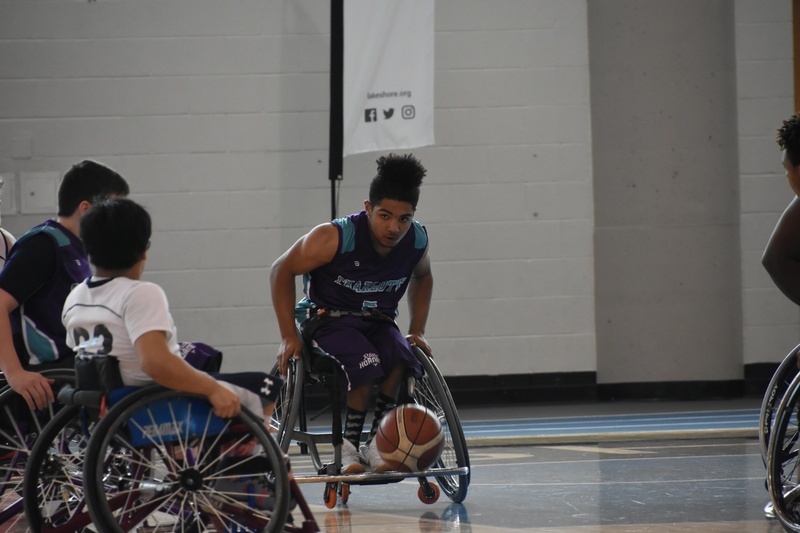 No limit to the potential he possesses in wheelchair basketball and in turn he has also opened up so many doors . Miles has been accepted to UNC and Duke academically !!! He has dreamed of going to Duke since he was a young boy. So proud of his academic side! As his coach I hate to think he would not be on a college b-ball team? He assures me he will play ball as he looks at the University of Illinois and Auburn University. Both Lizzy and Miles made 'all tournament' in Birmingham. Finally my 3rd senior, Santiago Rueda, aka ‘Santi’ rounds out our senior class. Santi has such a love for this game which is overwhelming to me. He may not be as gifted in the classroom or on the court as Lizzy or Miles, but works hard to keep up with the pace with his counterparts. The beauty is that when someone loves the game like he does, the game will love you back. When Santi asked me of his chances to make a college program I tell him that no one can take his dream away. No one can match his desire or passion to become a better player. I believe in him mainly due to his tremendous love for basketball. I respect it and I am inspired by him. This team of juniors has never played better then they play now. My coaches and myself are ecstatic as this group has finally grasped advanced concepts and they are demonstrating their skills naturally without having to think or be reminded of what to do when anymore. We get a lot out of what little I say, our overall team speed is an asset that we rely on in transition and with a full court press and running game mentality. At the top Houston, Atlanta and Minnesota are difficult matchups for us but we have gotten better against the best which is encouraging ! My reward and take away from being a coach of youth for past two or 3 decades is the impact I’ve had on the lives with kids that follow my lead. I’m charged with great responsibility that I accept with open arms. Arms open to love first and coach second. Once my player knows I love them then and only then can real transformations occur not just on the court, but in their daily lives. A selfless team is a better team we can all agree on that. The Jr. Rollin Hornets are selfless. It’s beautiful to watch as they share the ball with each other no matter what. The team has absorbed some of my DNA in this regard. They have come to learn there are so many different important and critical jobs to be done on the court other than just scoring. There is no guarantee how we will do at the Nationals. It’s 'March Madness' in April. Anything can and does happen this time of year. Our juices are pumped as we respect this time like no other. For our seniors who will move on to bigger and better lives we are grateful for you and what you have done for our program and our sport. Your ‘Wheel Print’ has yet to be finalized. It’s the unknown that drives us. What we can control is the people we choose to be in our lives and those people shape our destiny. I am proud to be your coach. I blog for ABC Medical. I respect this company so much. The NWBA and it’s Junior division have for many years seen our very best, biggest and most productive sponsor give back to our sport. This year is no different. ABC you are a great teammate and thank you for your role in wheelchair basketball. 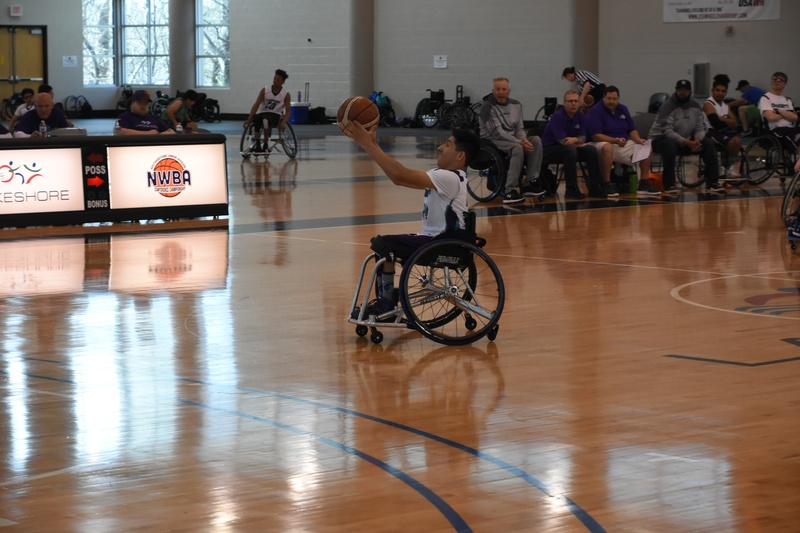 NWBA I hope you realize what you’ve got.